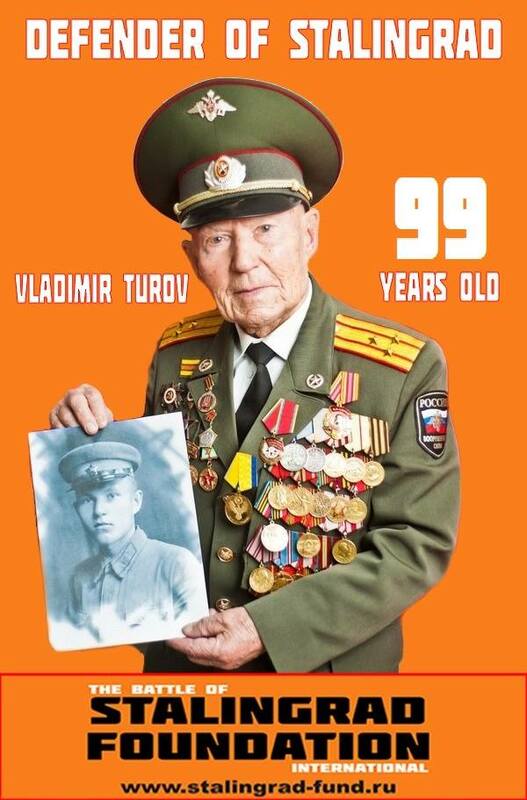 Yesterday the Defender of Stalingrad, honorary chairman of STALINGRAD FOUNDATION, Vladimir Turov turned 99 years old! Today the Defender of Stalingrad is being treated in a hospital for war veterans. Happy Birthday, dear comrade (tovarish) Colonel!!! On my behalf and on behalf of other members of the Council of STALINGRAD FOUNDATION we wish you good health! We must together with you celebrate the 80th anniversary of the Victory in the Battle of Stalingrad in 2023! We wish you a quick, easy recovery!